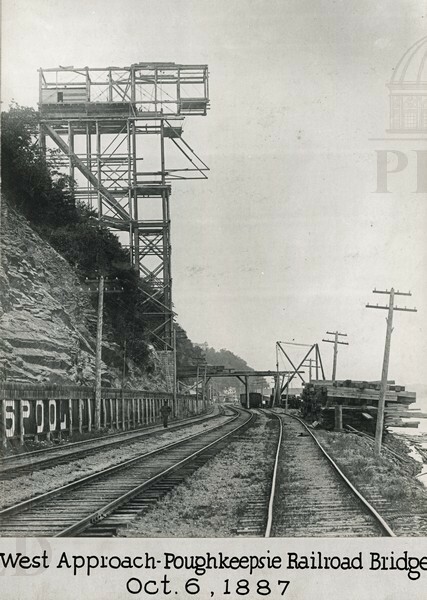 Point north of station east of track. 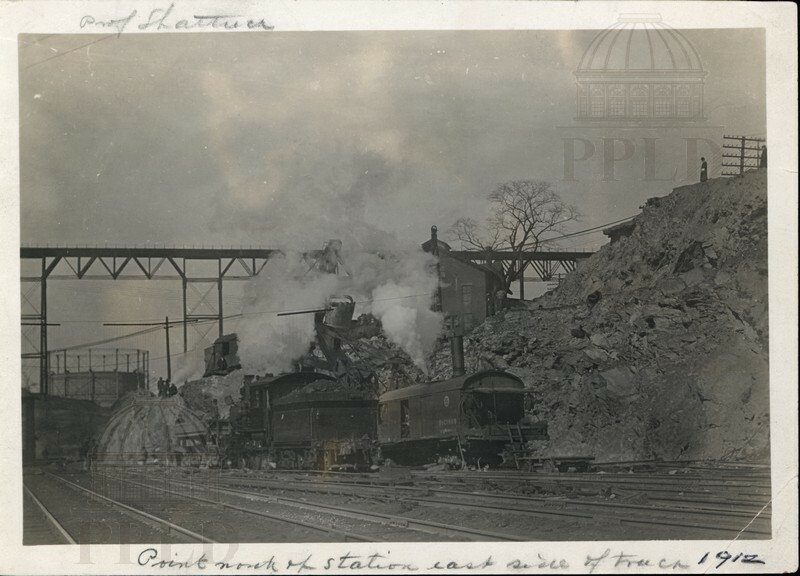 North of station east side of track. 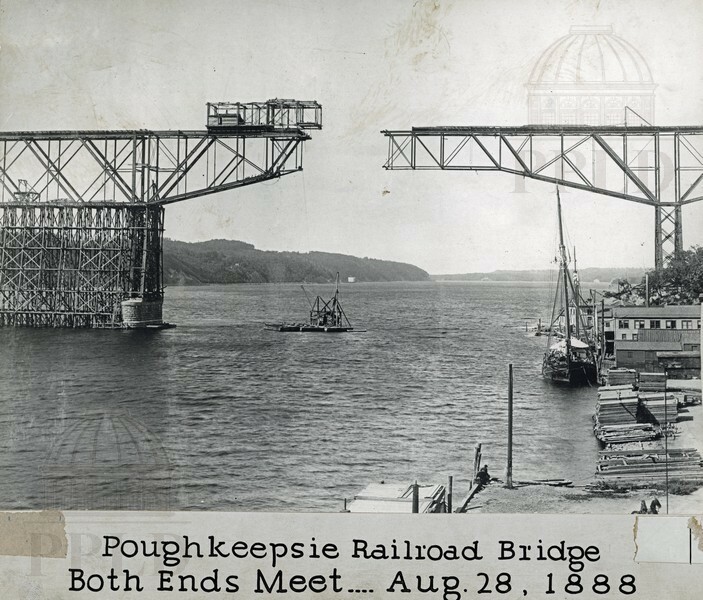 Completed bridge in the distance. 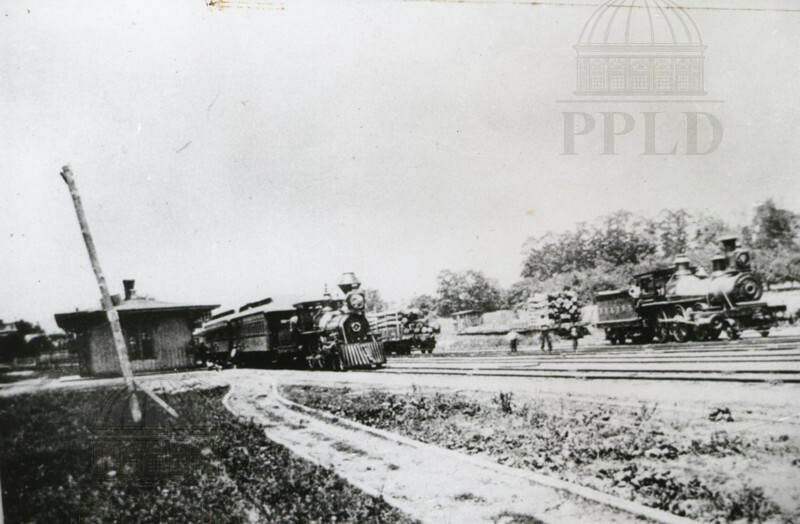 Overturned boxcars after a train accident in McIntyre. 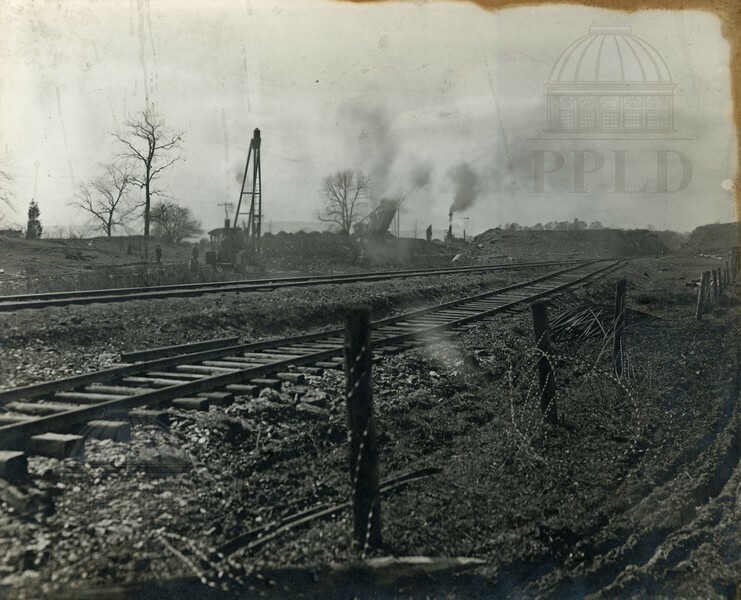 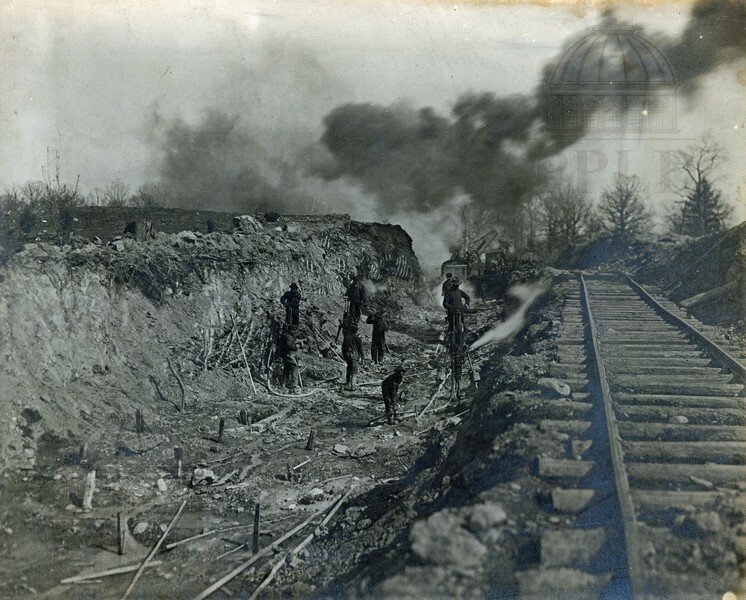 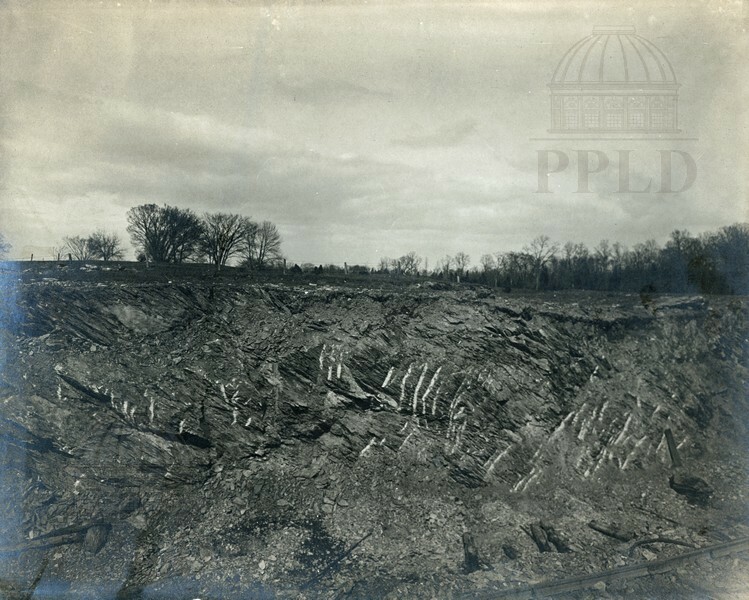 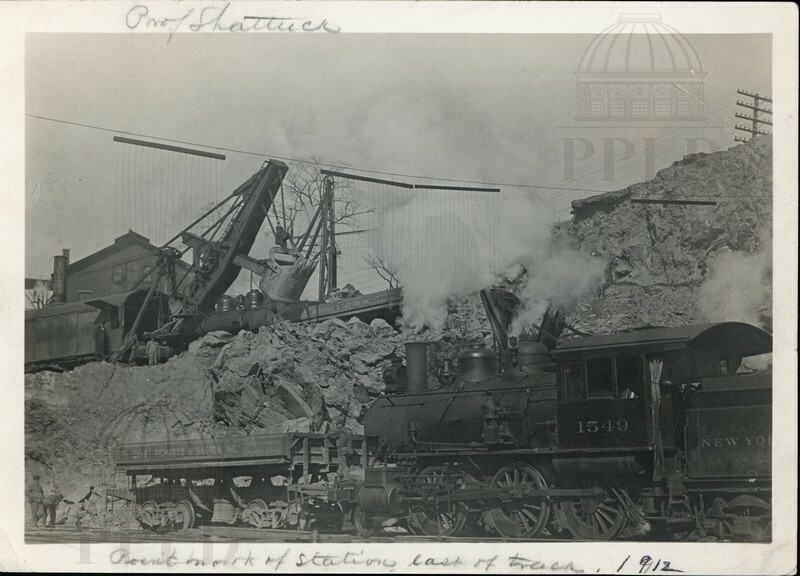 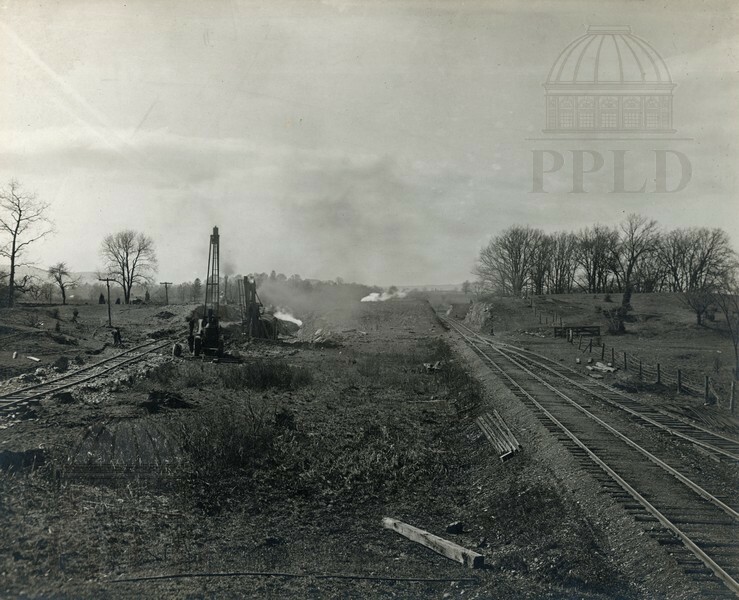 Men working in roadbed, smoke in the distance. 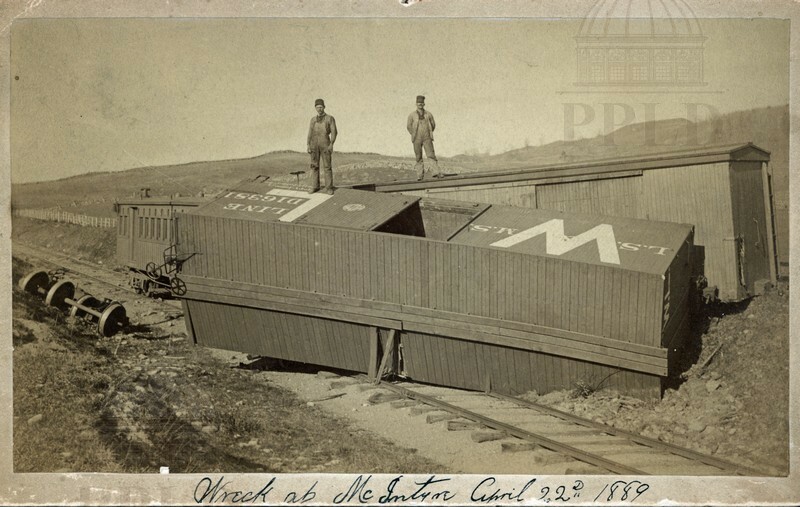 Two men standing atop overturned boxcars after a train accident in McIntyre. 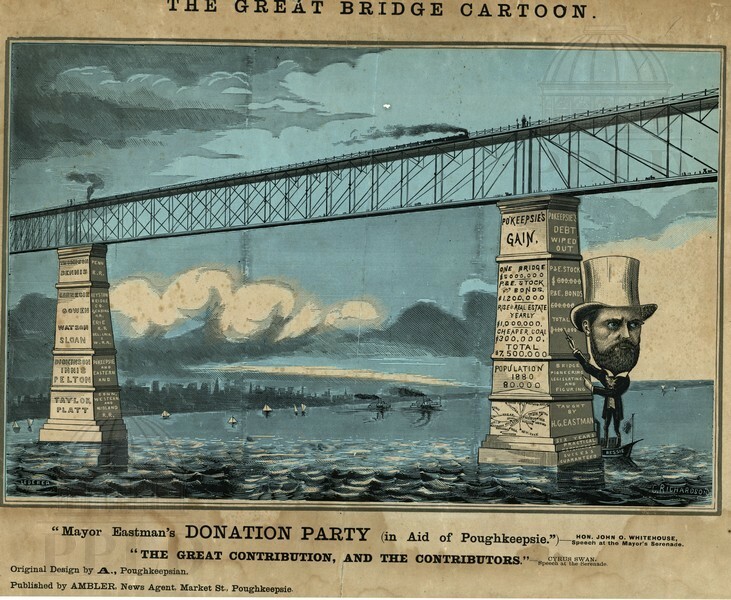 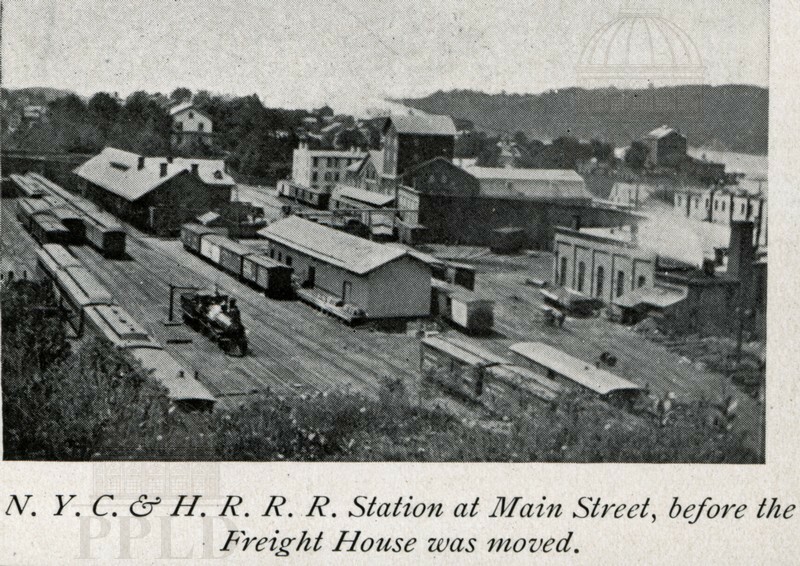 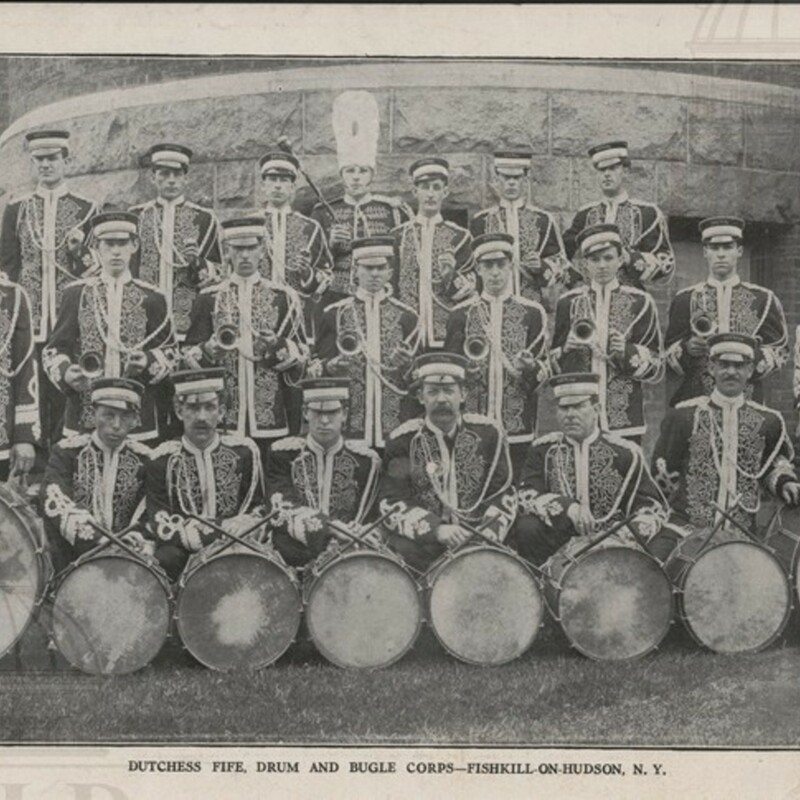 From the time when the railroad was called Poughkeepsie Hartford & Boston. 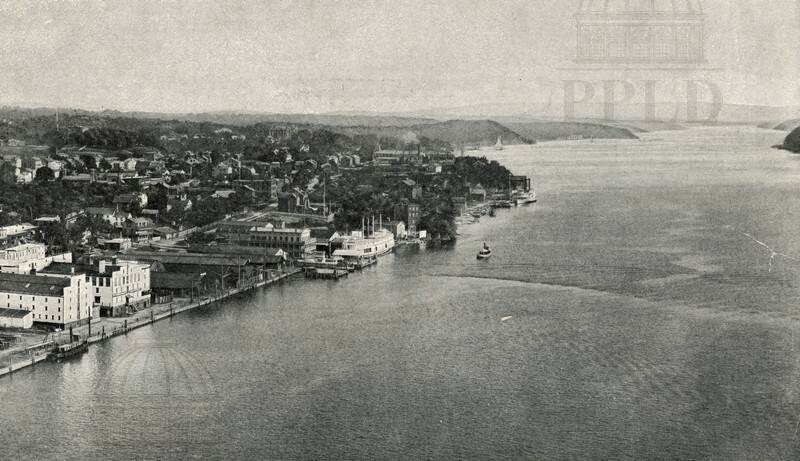 View of the Poughkeepsie waterfront as seen from the vantage point of the railroad bridge. 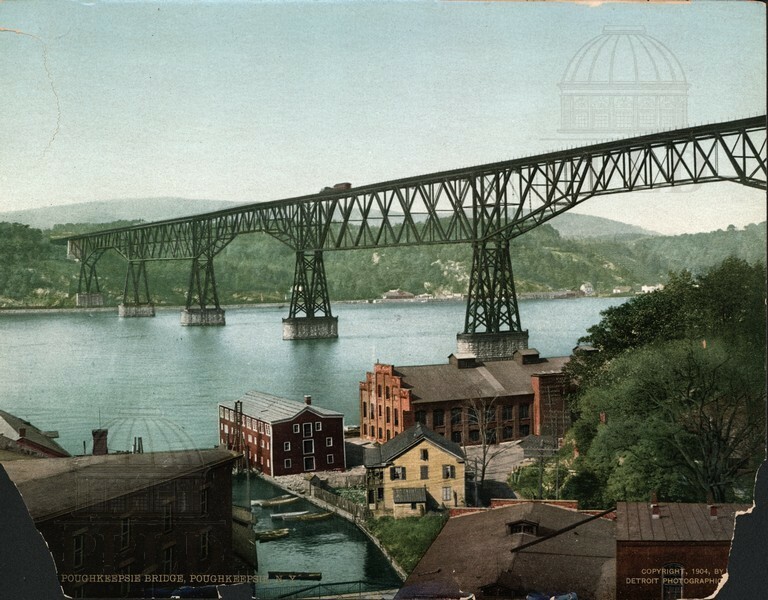 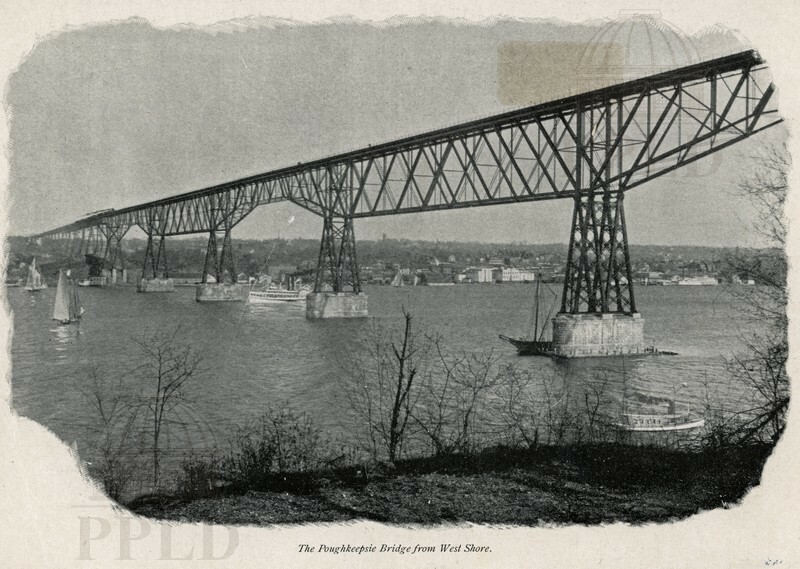 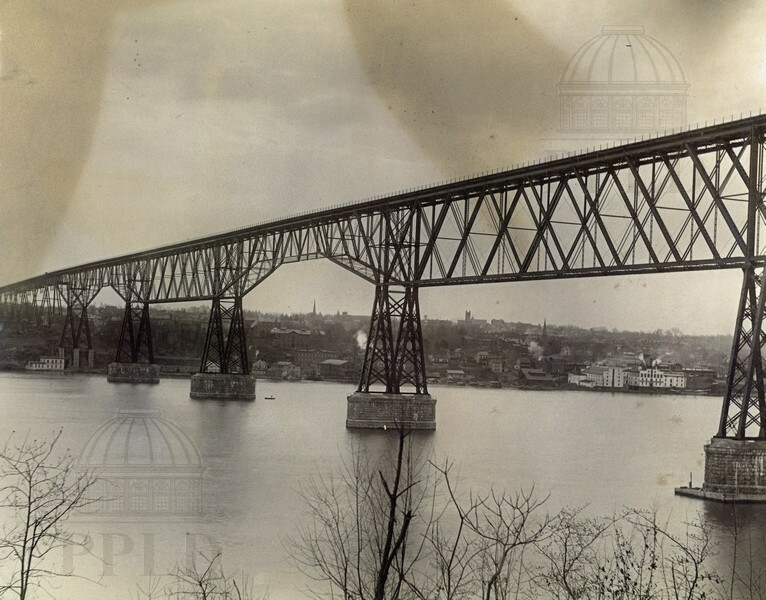 "The Poughkeepsie Bridge from West Shore." 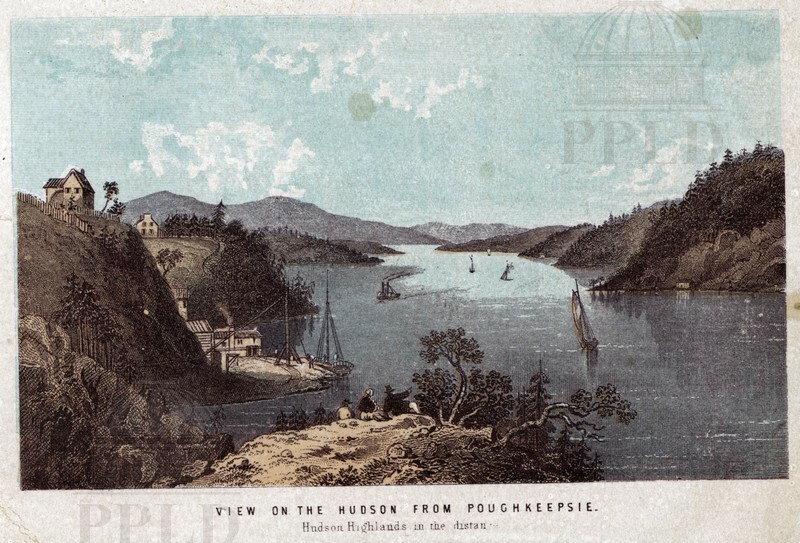 "View on the Hudson from Poughkeepsie"
Illustration showing southern view from Poughkeepsie Hudson Highlands in the distance. 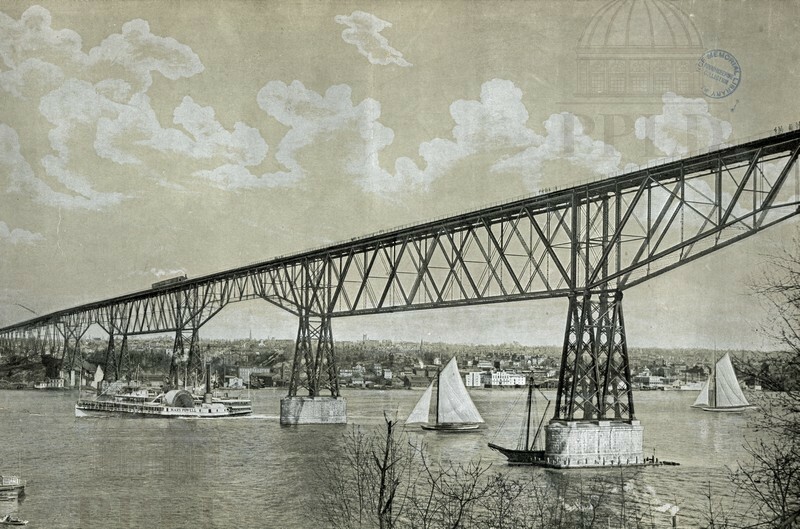 Watercolor of Mid-Hudson Bridge & Poughkeepsie Railroad Bridge. 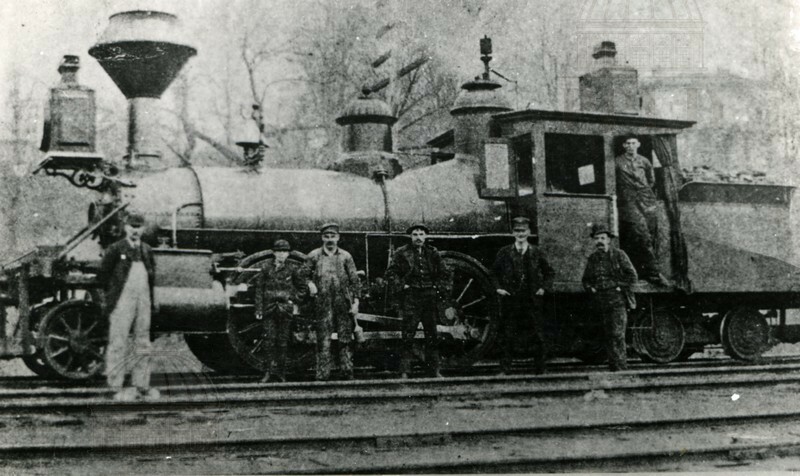 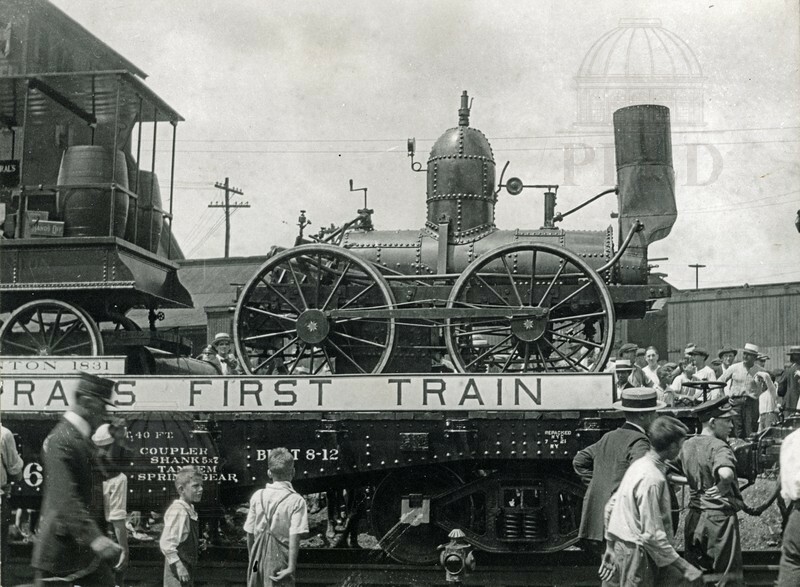 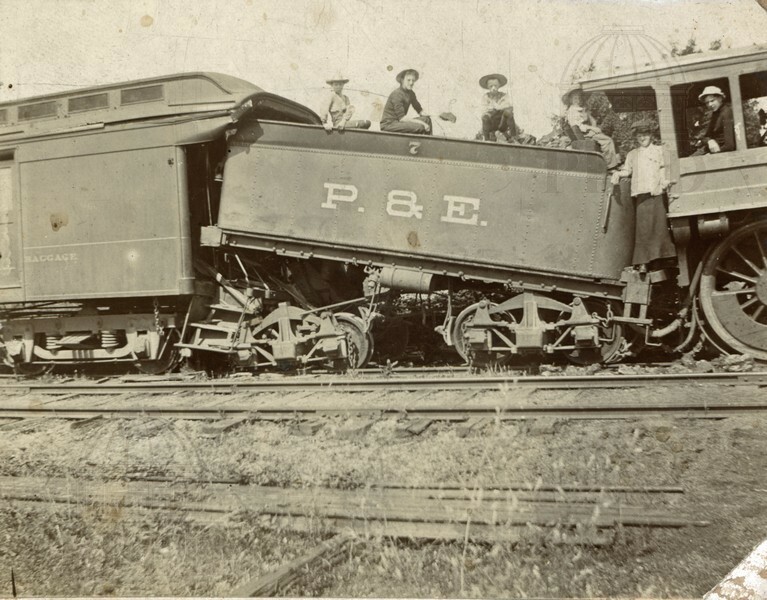 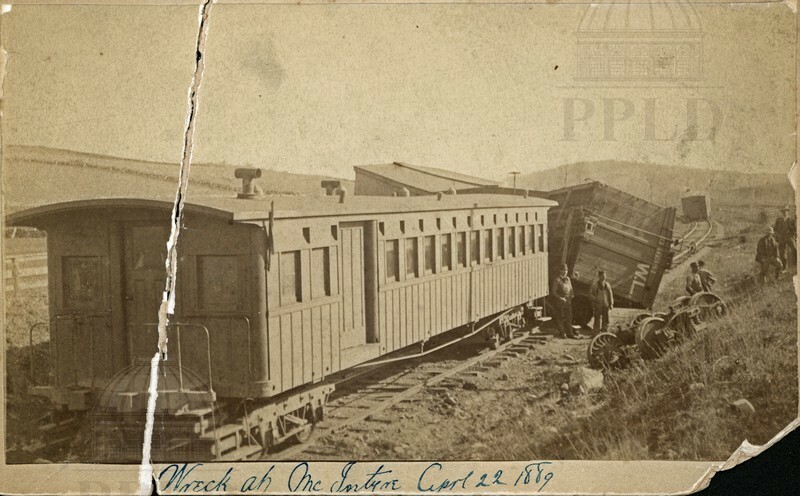 New York Central's first train. 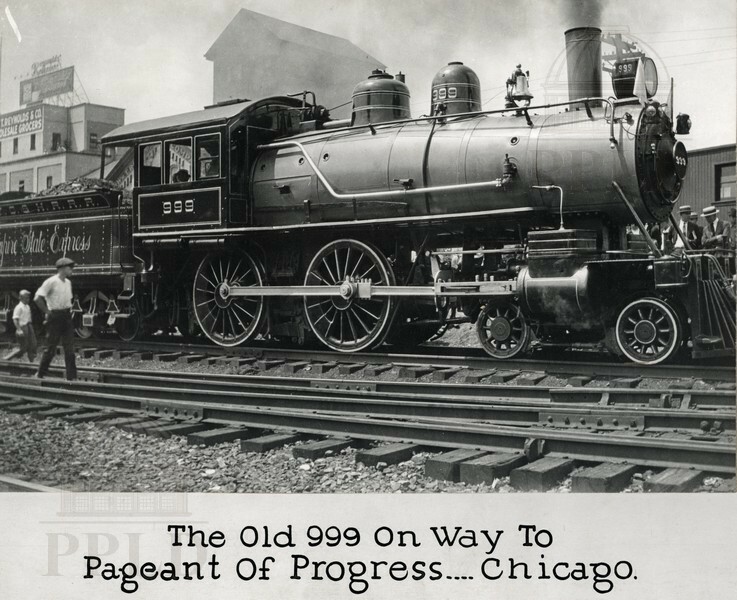 "The Old 999 on way to Pageant of Progress--Chicago." 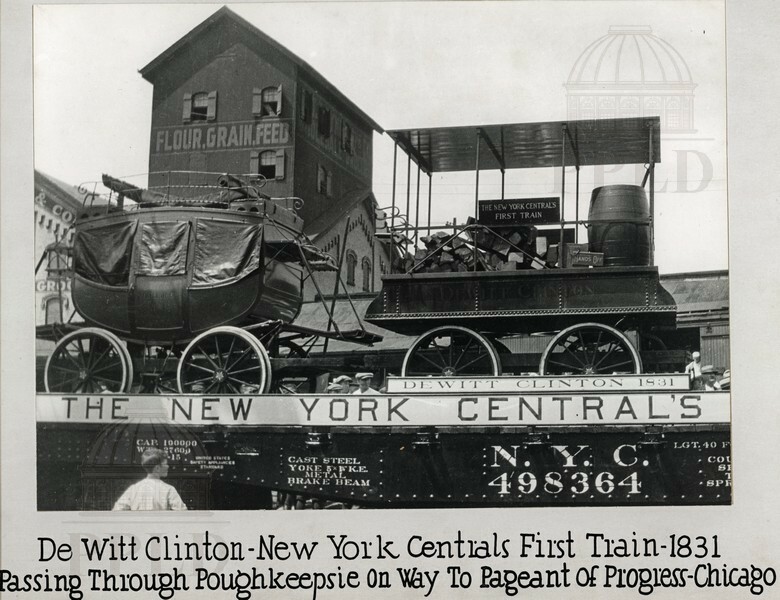 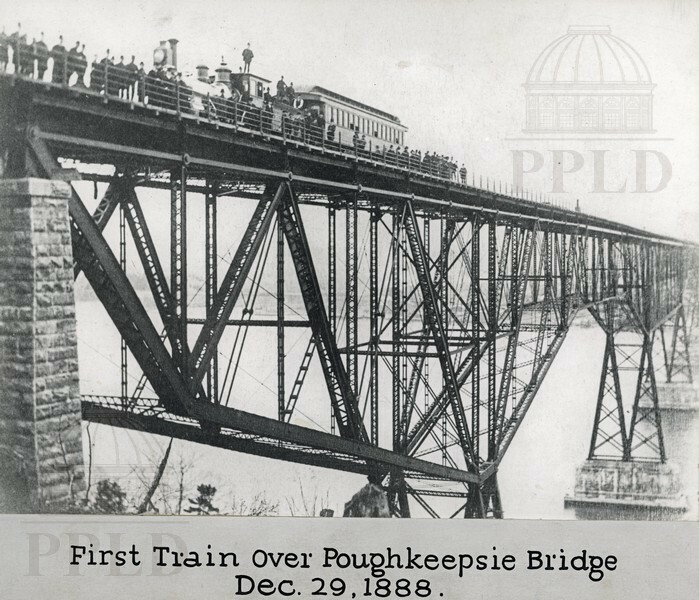 "New York Central's first train-1831 passing through Poughkeepsie on way to Pageant of Progress-Chicago." 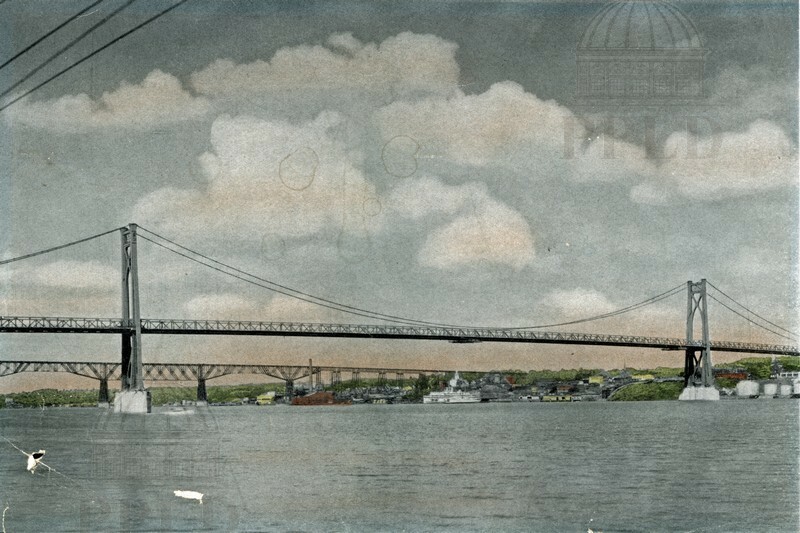 East Approach to bridge with ship in the foreground. 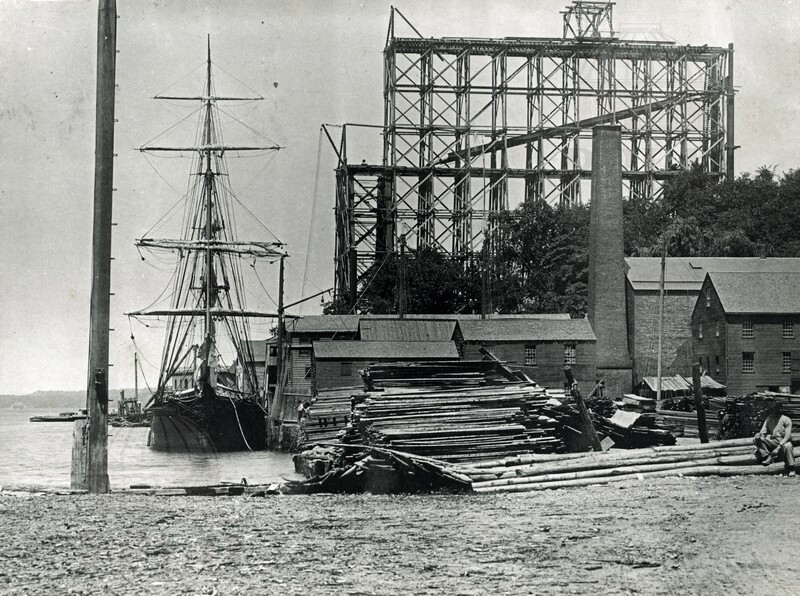 "The Mary Powell" passing under the bridge along with other schooners & ships. 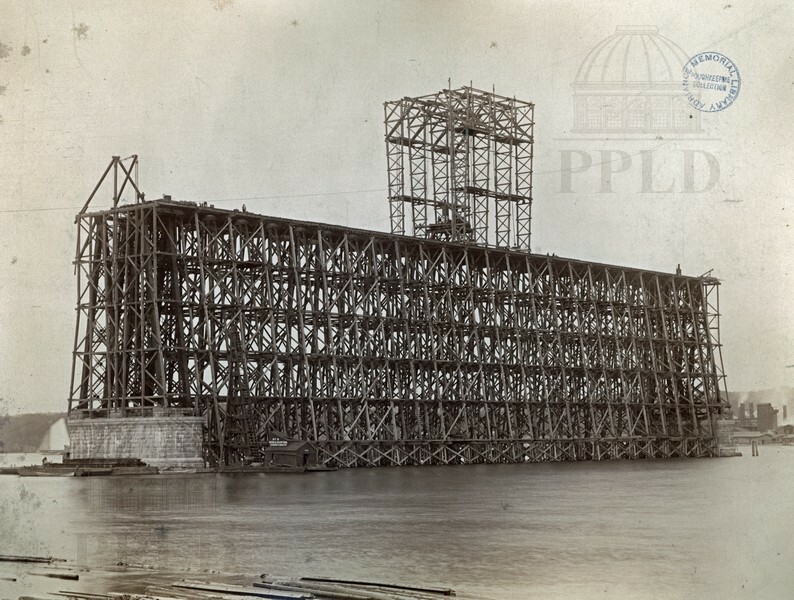 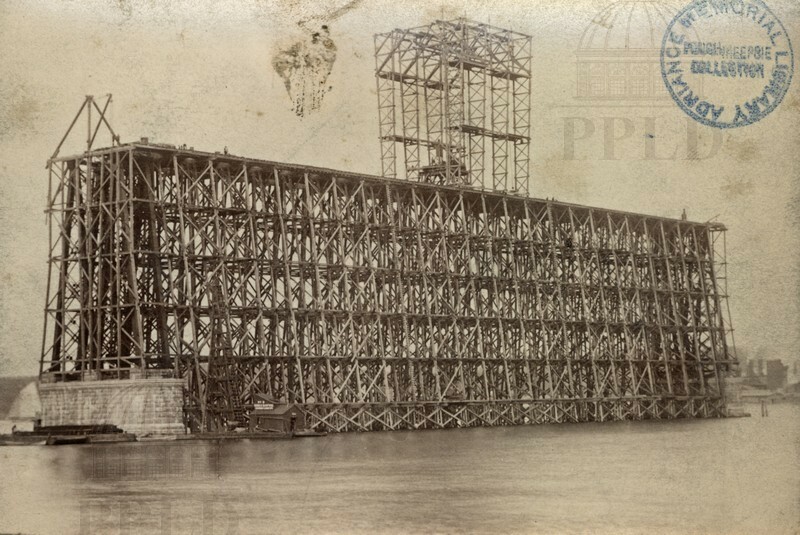 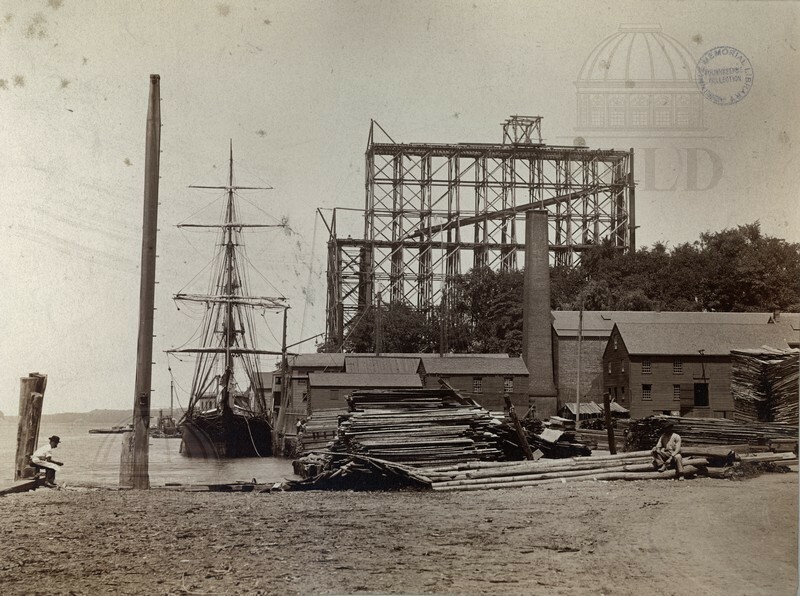 Construction of the bridge, view from the eastern shore.